Let's Get Ready to Hack! 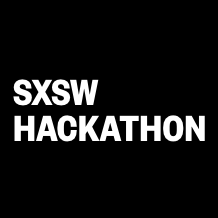 Our challenge for the SXSW Hackathon is the Lifestyle Hack, where we’re asking teams to build an application that enriches the human experience; It can be a mobile or web app and even a bot! To qualify, teams need to use Cloudinary and demonstrate in a compelling way that their high-tech creation facilitates a lifestyle improvement. Gaming: Engage players in a gamified experience that educates users on making smart lifestyle choices to promote good health and their well-being. Activity: Guide users through individual or group activities that entail educational experiences via use of stored or web-accessible pictures. Shopping: Implement commerce solutions that help users select products based on their lifestyle merit via use of visual cues and ranking methods. Cloudinary personnel will be available onsite to provide technical assistance and answer questions related to visual APIs during the hackathon. The winning team, selected among those qualified for a Cloudinary prize, gets 12 months of a Cloudinary Advanced plan (valued upwards of $2,500!) and free promotion via social media coverage for the team and its solution. Cloudinary will be roaming SXSW Interactive, including Startup Village, Tradeshow Exhibitions, Startup Spotlights and of course, the SXSW Hackathon. Please contact us via SXSW Social or tweet at us to set up a meeting.